When the negligent, reckless, or intentional acts of another cause you to suffer a debilitating traumatic brain injury (TBI), you might experience devastating consequences that include impaired cognitive functioning, loss of mobility, difficulty communicating, and an inability to work and provide for the needs of you and your family. Although there are a variety of injuries that can have catastrophic consequences on your daily life and ability to earn a living, TBIs often constitute one of the most disruptive and limiting types of injuries. While physical, emotional, and financial challenges are natural when you experience this kind of injury, the psychological toll of a TBI may be more significant than most other types of injuries. The debilitation and financial hardships associated with a serious brain injury can financially cripple a family. Our firm is experienced in representing TBI victims who experience injury from motor vehicle accidents, slip and falls, and a host of other incidents. Teale Law offers legal expertise, extensive experience, meticulous research, compassion, and aggressive and persuasive advocacy for clients. All too often I see the impact of a significant brain injury on victims and their families, and realize what everyone is going through. I am committed to representing my clients with honesty, diligence, and genuine concern for their well-being. When your life is derailed by a speeding motorist, fatigued truck driver, or any other negligent party, my law firm will work tirelessly to hold the at-fault party responsible and to seek the fullest compensation through a settlement or judgment. 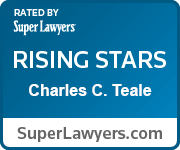 Teale Law offers a Free Confidential Consultation. Contact us today at 603-935-7425 for your no obligation consultation. Whether you suffer a head injury in a car crash or after slipping on a wet floor in a local restaurant, you might suffer a traumatic brain injury. Open (Penetrating Head Injuries): In contrast to a closed head injury, this type of injury involves actual penetration of the skull. While an open head injury might occur in a variety of circumstances, the most typical scenario involves a fragment of the skull penetrating the soft tissue of the brain. Many types of accidents cause open head injuries, including slip and falls, motor vehicle collisions, and criminal acts (e.g. firearm injuries). 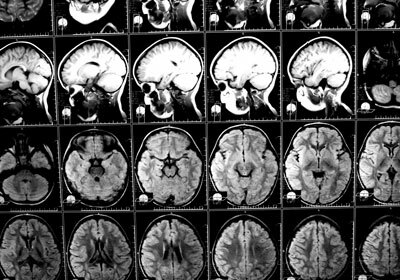 Swelling of the Brain: The body’s natural response to a brain injury involves dispatching increased blood flow to the injured area to facilitate the healing process. Unfortunately, this response promotes swelling of the brain. Given the fixed and limited space within the skull, this swelling often results in compression of the brain. This increased pressure might cause more severe damage or even death if not relieved promptly. Tearing of the Brain: Small microscopic tears frequently occur when you injure your brain. These tears often cannot be identified in a CT or MRI scan. Bleeding/Bruising of the Brain: The brain often bleeds when it has been injured. This blood pools within the head and again causes pressure on the tissue of the brain. The pressure can be so severe that it causes damage to additional areas of the brain because brain tissue dies. “Repetitive head trauma injuries” constitute a cause of brain injuries that has drawn increasing attention in recent years. At the professional, college, high school, and even youth league level, the long-term impact of multiple concussions has become the subject of medical studies and litigation. These are only a handful of examples of unsafe conduct or hazards that might result in an accident where a victim endures a traumatic brain injury. When a person, public entity, or commercial establishment fails to exercise reasonable care to avoid causing a TBI to another, the responsible parties can be held accountable for injuries that were reasonably foreseeable. In certain cases, the party that causes injury may be held strictly liable (i.e. 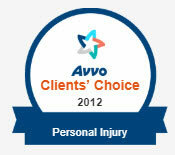 liability without fault) for injury to another person. As a caring and tenacious personal injury lawyer, I carefully investigate the facts of my clients’ cases and identify all available potential responsible parties. If you or your loved one suffers a significant traumatic brain injury, insurance claims and legal procedures typically will not be your priority. However, the enormous financial consequences of a serious brain injury increase the urgency of promptly seeking legal advice if you suffer a head injury. According to the CDC, the average lifetime expense associated with a TBI ranges between $85,000 and $3 million. If you or someone you love suffers a TBI, you could face lost income, mounting medical bills, pain and suffering, vehicle repair/replacement expenses, and more depending on the circumstances. When you or a loved one experiences a traumatic brain injury you should not delay in speaking with a qualified attorney. 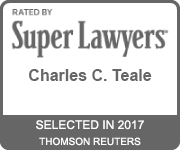 Contact Teale Law at 603-935-7425 immediately for your free initial consultation and case review.